Vegas, yes sin city, the rightful name in many ways. Whatever your looking for it's here. 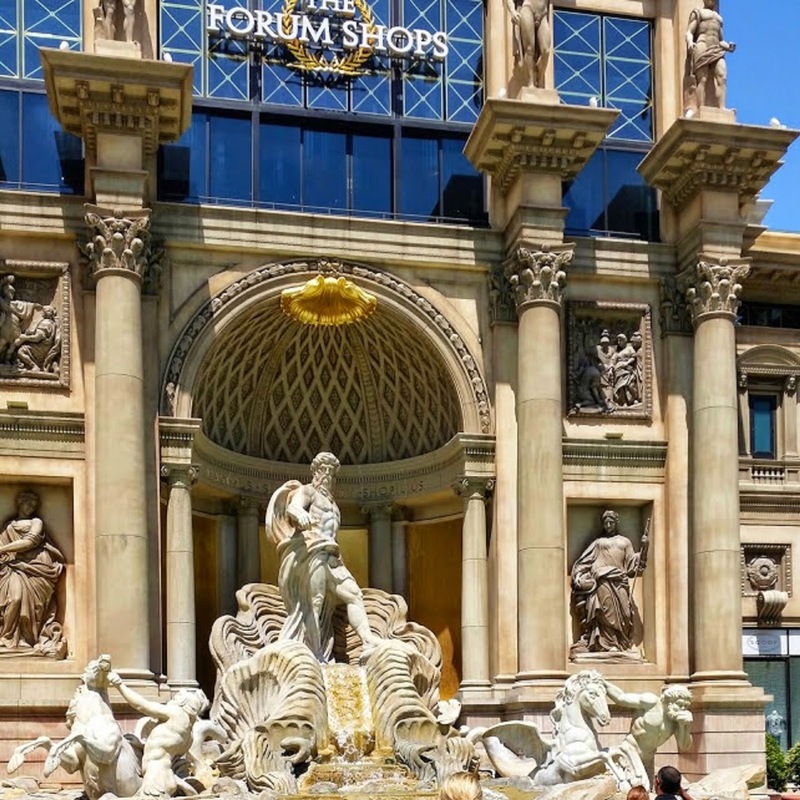 Art work, shops, gambling, food, drinks, escorts, sightseeing, recreations of places like New York, Rome Italy, France, Mexico, just to name a few. 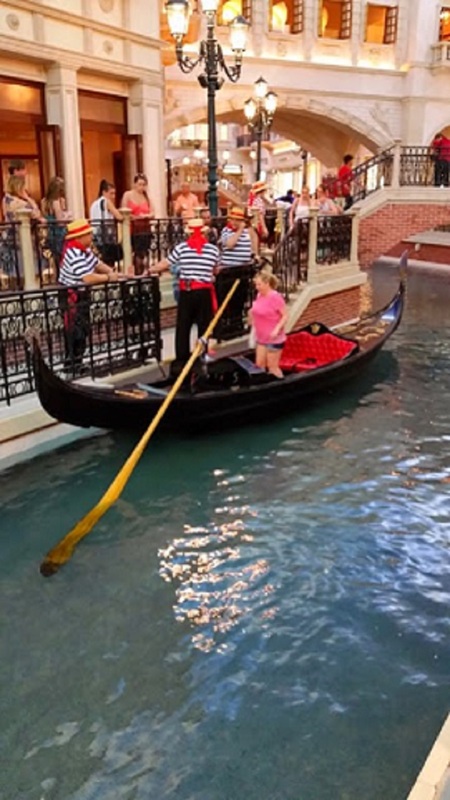 The Venetian has gondolas its a ride by reservation only. Get there early the lines are long if you would like to experience this Venice Italy ride. The trip was actually my birthday present and my husband and I met up with my niece that also flew in with her husband. The whole trip was very full. 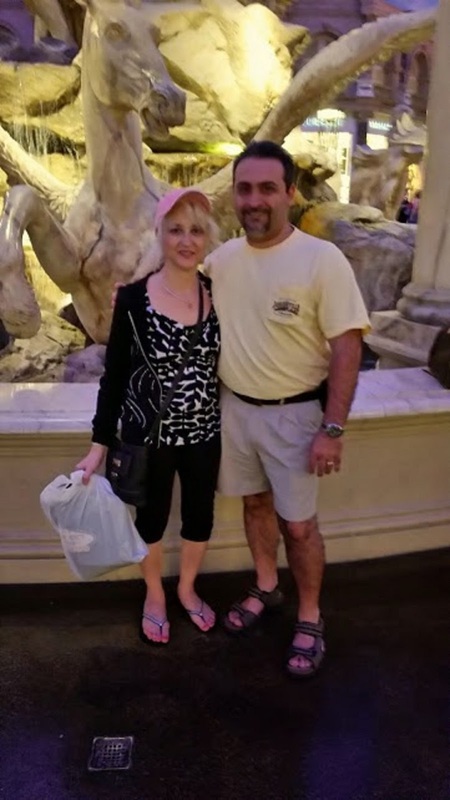 We actually walked 8 miles up the strip starting from the Mirage and using my pedometer it measured 11,800 steps. We ended at the Excalibur and took the bus back. Get comfortable shoes you will do more walking than you ever thought you could and expect blisters! 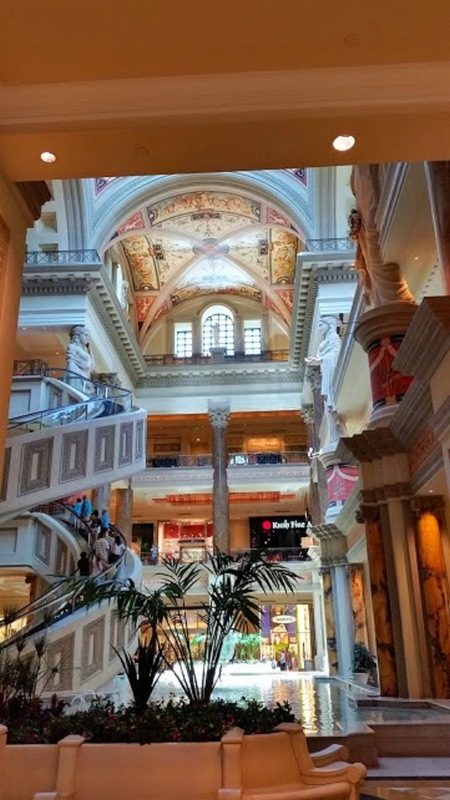 My favorite is Caesars Palace. The art is amazing, sculptures and surroundings are a wonderful experience, they even give a free show every day in the afternoon you won't want to miss it. I loved walking through looking at the fine artists and history. The atmosphere just surrounds and shouted Roman everywhere and just beautiful. 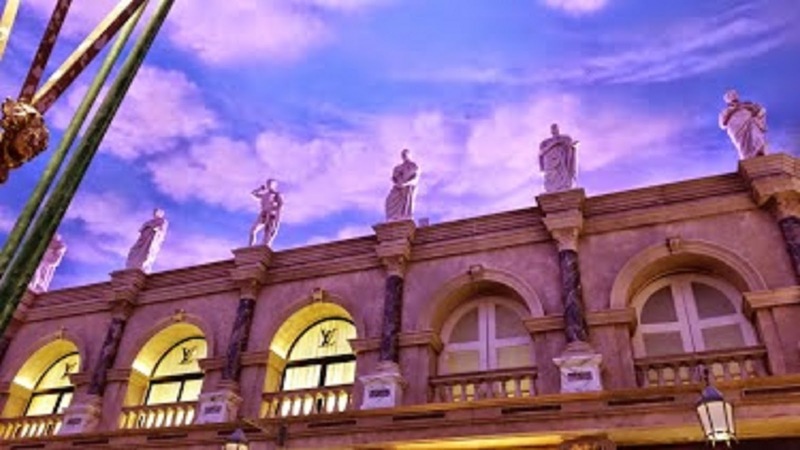 As we toured each Casino, each has their own special qualities and perks among them. At the Mirage they have a Volcano show in front of the building at dark. Bellagio, MGM has the slot machine everyone stands in line for that hasn't paid out in 20 years (laughing out loud). New York, New York, Paris we stopped in Hard Rock Cafe then as we walked we saw Planet Hollywood. We skipped out on going into Circus Circus, I despise clowns, the shows, music and not there to have tons of kids flocking to have fun as that's why it's so inexpensive to stay there. Flamingo, Bally's and Luxor and several more were all gorgeous inside. April wasn't a great month to visit! 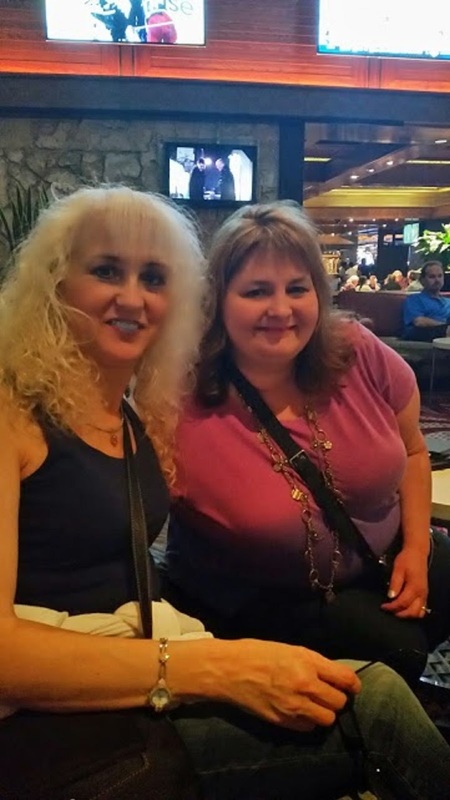 Through our whole visit and walking the strip.the sand was blowing in our face with the wind was horrible this April week. Apparently this is sand storm season. It ended up giving me a bad sinus infection when I got home. As we walked the wind was so hard and unreal, pushing everyone all over, we had to walk backwards at times, that made us walk even slower getting everywhere. The sand and dryness of the dessert really dried the membranes in our noses, skin and lips out. I highly recommend if you go to get some saline drops and or moisturizers also wear very comfortable sneakers. The other tip if you walking is to surely stop at the local drug stores and pick up water, they charge huge amounts in the Hotels. Food and water is extremely high priced in Las Vegas. One sandwich in a Hotel was $23.00 and they charged $3.00 for sharing. We were told that Hotels and food is the number driver for the economy there, then entertainment and gambling third which has declined alot over the years the local folks told me. That's why the prices in restaurants were ridiculous, Hotels fees are $25.00 and then they add taxes on which you don't know until checkout. Yes, gone are the days of the $2.99 buffets from the 90's and thinking Las Vegas can be an inexpensive get away. Oh yes old Downtown Vegas on Fremont Street. 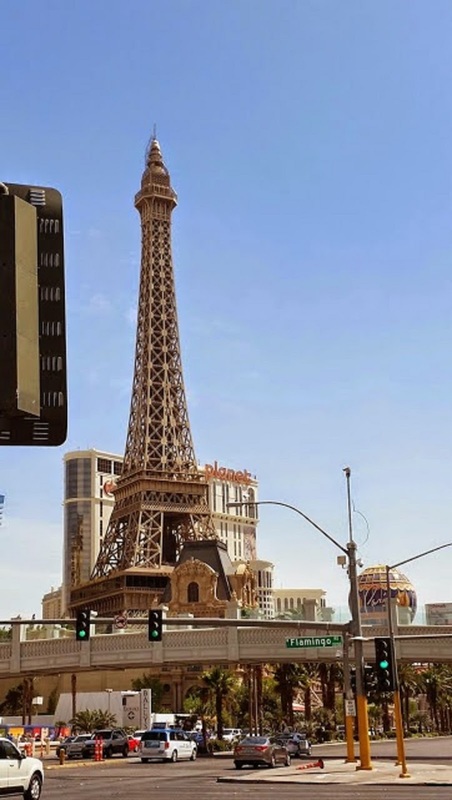 This is Downtown Vegas with many walks of life to partake upon. First of all if you are going to this street party then here is a tip before you get there. We learned very quickly about the cab service in Vegas. One cab charged us $40.00 for a ride that was 10 minutes with a 20% tip and surcharge for using a charge card. The next cab another time charged us $14.00 and was less in miles. If you charge they will ask you to pick from a 20, 30 or 40% tip to add on plus charges for using a charge card. They want cash, so keep that in mind, they also make small talk to see if it's your first time there and then nail you. Taking the bus is much cheaper. They have a double decker bus for $6.00 for 2 hours or $12.00 for 24 hours. Got us back and forth no problems and the ride was very pleasant stopping anywhere to all the large Hotels back on the main boulevard. There are also shuttles that will take you to and from with reservations through the Hotels Concierge. 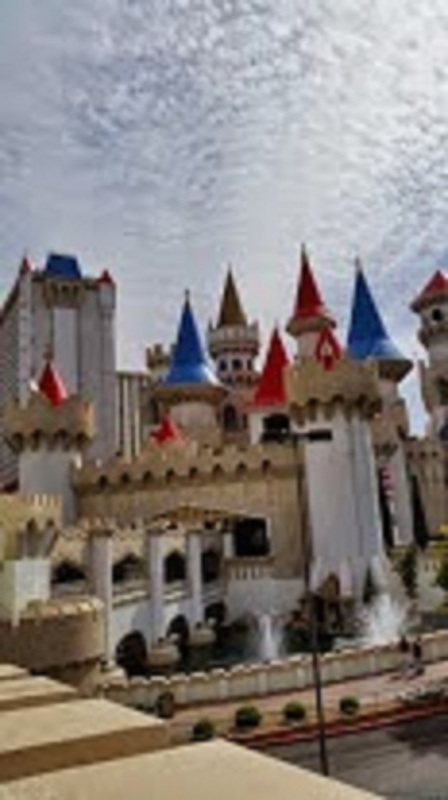 On with downtown Vegas, less expensive for trinkets for sure, some good food that really inexpensive, deli mostly. It's a party in the street. So as for our street party the fun starts really big at 9:00 pm. 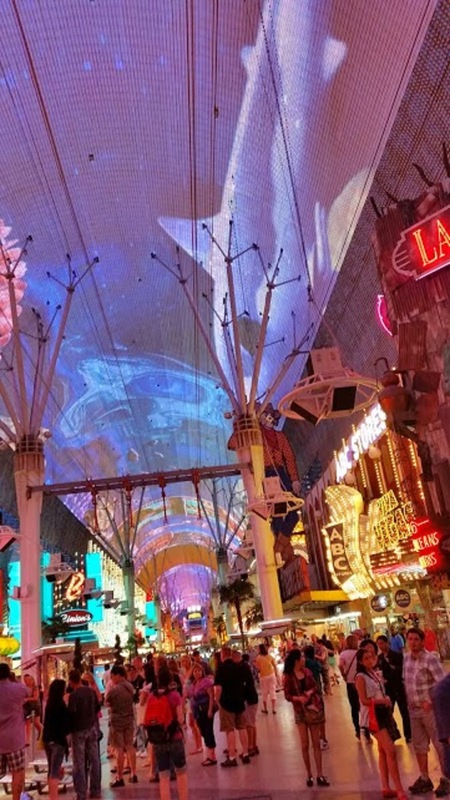 The most obvious and largest part of the Fremont Street Experience is this canopy light show. The canopy towers 9- feet about the ground and spans the length of five footballs fields. This covered street ceiling light show features famous Musicians like Bon Jovi, the concert in lights is amazing. Very cool indeed. Most every part of the street is filled with costumes, violinists, bands, interesting attires up and down to ponder. If you have been to Key West this is a similar atmosphere. party all night, lower priced drinks and music in the streets with a laid back atmosphere. As for the gambling, these are in the Airport. I can tell you yes, I tried every Hotel for a lucky chance, nope not so lucky. Before we left to get on our plane, I decided well these machines are calling my name just one time I decided to try one more time. My first dollar I got back almost half of what I lost in the 3 days we were here. I kept playing until we boarded our plan and almost gained back all my losses. I couldn't believe the people around me that were also winning in the Airport. I found it interesting that all the same machines in the large Hotels, never hit that often once, while these machines gave back every time you pulled the lever. Was just an observation, can't wait to go back to the Airport again, hee hee. As for the food, this pizza was $23.00, with water and a small appetizer that bill was $43.00 with tax and tip. 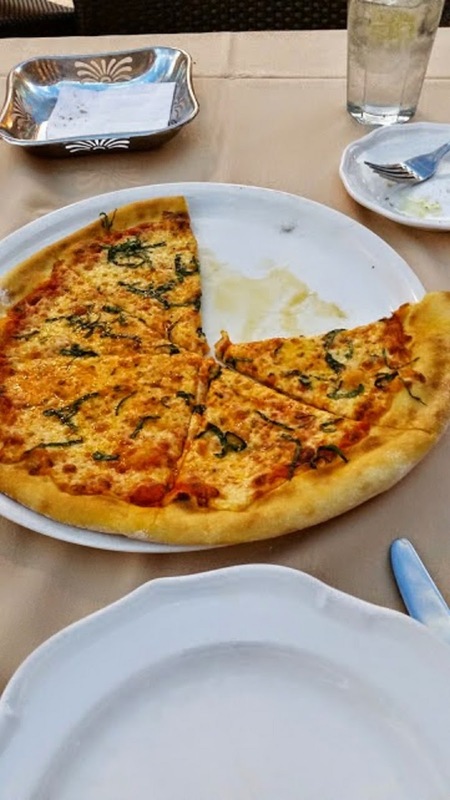 The restaurant was fancy in a leading Hotel and the pizza wasn't very good trying to portray Authentic Italian pizza. The sauce was dry, the crust was just soft and soggy, very disappointing besides being so small and not able to feed more than one no less two people, it was 10 inch thin crust. I did have a deli sandwich we split with a $3.00 share charge. The sandwich had at least 2 pounds of turkey and 2 pounds of bacon in it along with lettuce and tomatoes. It cost $23.00 and we split it. The average breakfast in the Hotel for 4 people with coffee and juice before tips was $93.00. Nope nothing fancy, some breakfast sandwiches, omelet, coffee, juice. These were just some of my experiences of shock when we got there, so if you are taking a trip, make sure you have set aside double the amount of money for your food if your budgeting at all. Even a cup of coffee not at the leading coffee shops are $4.00. All and all it's a great time if you are prepared. 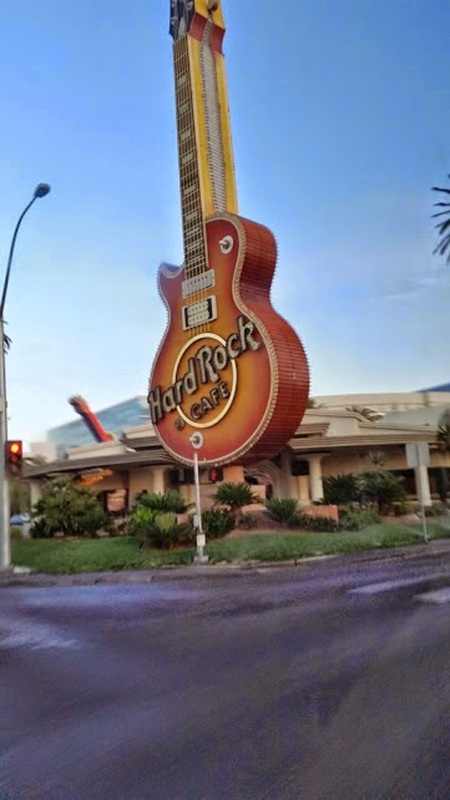 The shows are great there and the best thing to do is walk the strip, there are places that sell you those tickets with a huge discount for the same night, don't buy them at the Hotel, you will pay much more. Hope this helps you out if your planning a trip and you set aside that gambling money or cocktail money, food is double the price, cabs and tips. 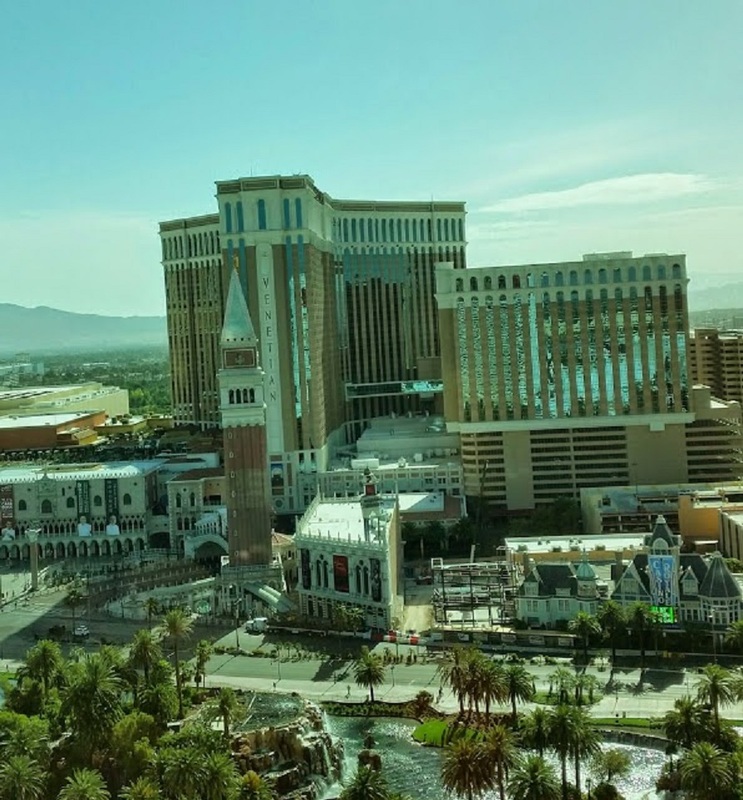 If you want to cut corners take some of my tips and cut corners to have a great time in sin city!